Timelapse Photographer, Rig Designer and Associate of the great outdoors. Chad's obsession for all things timelapse and attention to detail has earned him the affectionate nickname of 'Mr Timelapse' within the television and film industry. Born and bred in the West Midlands, he's been wrangling cameras, in one way or another, since 1995. 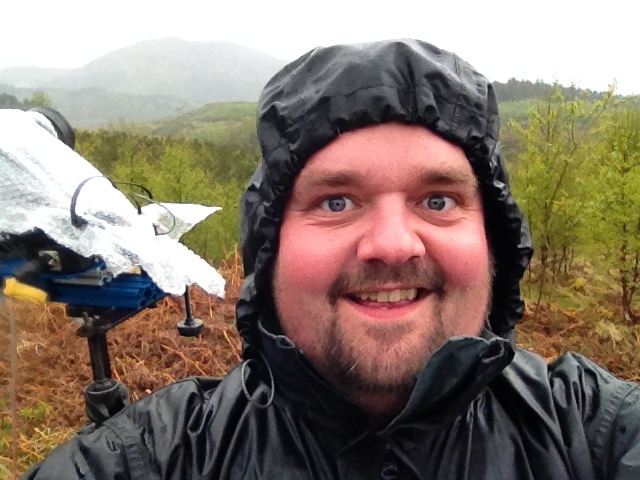 Having been through various roles (Travel Photographer, DV Director and Camera Op at BBC Birmingham, Jib Tech at Offtrax) he took the jump into the depths of freelance and started Chadchud Ltd in 2010 with the aim of bringing timelapse to the masses! Originally self-taught on an old Canon AE1 film camera, Chad's aim is to develop new methods of shooting timelapse sequences, developing new motion-control rigs and ticking off as many places as possible on his fanciful location list! One of only a handful of people in the world that earns a living from full-time timelapse, Chad has a wealth of experience from the frozen shores of the Arctic to the dry, hot and often dusty climates of Africa. Having shot for everything from commercials, factual, drama, corporates and reality through to documentaries, film, natural history and science, his knowledge of the intricacies of Timelapse Photography is invaluable.